Turn right onto Walker Street/MA-183 Ventfort Hall is located approximately ½ mile on the left. Follow US 20 W, in Lenox turn left onto Rt. 183/Walker Street. Ventfort Hall is located approximately ½ mile on the left. Follow Rt. 183 until it merges with Walker Street, Ventfort Hall is on the right. 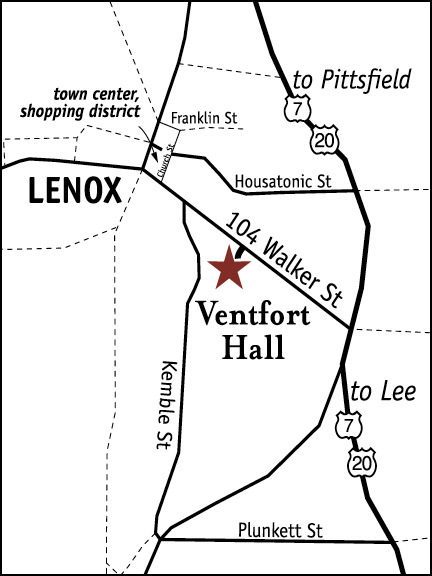 Turn sharp right onto Walker St/MA-183, Ventfort Hall is on the right.